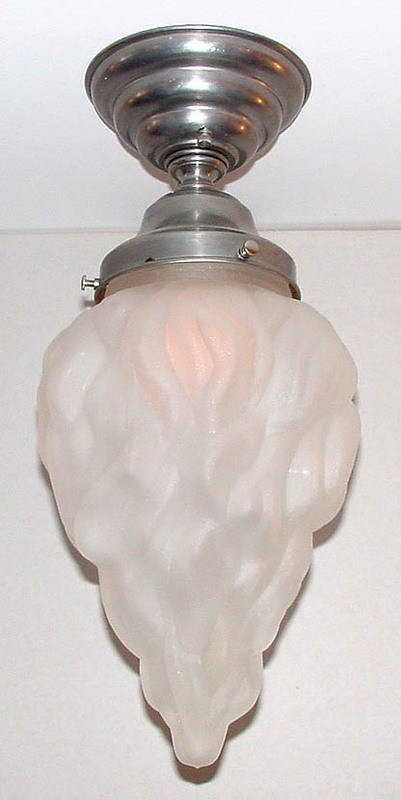 A unique Art Deco 1930's style torch style glass, frosted. Use a clear light bulb inside to create the 'fire'! Consider adding a smooth tube below the ceiling canopy to create your very own Torch pendant! Shown in Pewter. Available in different Metal Finishes, different Glass, Back Plate, multiple arms and many other Custom Options. Width 7 In. / Height 15 In.